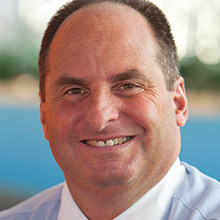 Tom DeVito serves as SVP of Retail Sales & Service for Comcast. He is responsible for all Xfinity stores, service centers, national retail, third-party dealers and alternative distribution channels. Tom joined Comcast in 2016 from AT&T where he was VP and GM of the AT&T Wireless business for NY and NJ. Prior to that, he ran AT&T’s Wireless business for the Mid-Atlantic. Tom also served as President of the Board for AT&T’s partnership with PECO Energy. Tom also held other senior leadership positions at AT&T. Tom began his career with McCaw Cellular Communications as a Manager in the Finance department before taking on larger roles running accounting, finance and operational functions for the Southeast Region. Tom served as a board member for Junior Achievement of NY, Inc., and supported many local community organizations including United Way and Philadelphia Cares. He earned his bachelor’s degree from Florida Atlantic University and lives in Philadelphia with his wife and sons.